Here comes mahjong for the whole family! 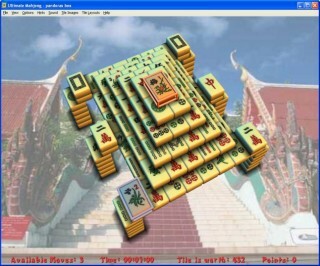 This award winning entry in the mahjong genre lets you play the classic game like never before. 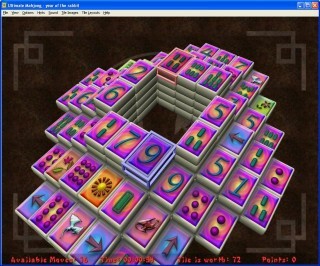 It comes with tile set and layout editors as well as everything else you could want from a mahjong game. The goal in mahjong (sometimes called Mahjongg or Mah-Jong), is to clear the screen of tiles by matching pairs, it sounds simple enough, but there's more to it than that, you will need patience and cunning to become a mahjong master! There have been 3454259 games of Ultimate Mahjong played worldwide! What does Ultimate Mahjong have to offer? 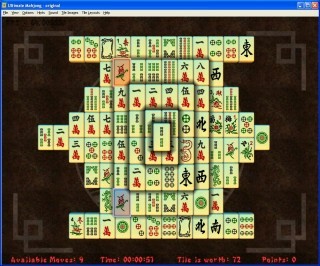 Over 1000 challenging, pre-made tile layouts, only for Ultimate Mahjong. Breathtaking 3D graphics and special effects! Create your own custom tile layouts or tile image sets using the built-in editors. 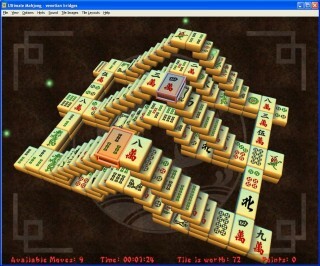 Compete against the rest of the mahjong playing world using the online scoring system.